The little matter of the Variac. A lot of FM broadcast transmitters (and who knows, maybe even TV, AM….?) use a tetrode or pentode tube based power amplifier. 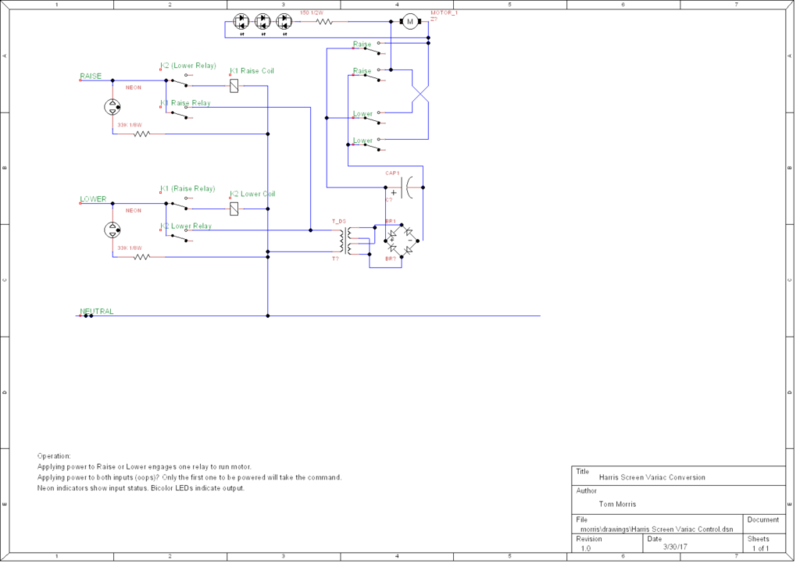 Control of the final output power is achieved by metering the output and adjusting the voltage to the screen of the tube, thus adjusting the amplifier’s gain. On a lot of transmitters this gets done electromechanically. In this case this is done using a Variac or variable transformer, but in some smaller rigs (2.5, 2KW, and below?) 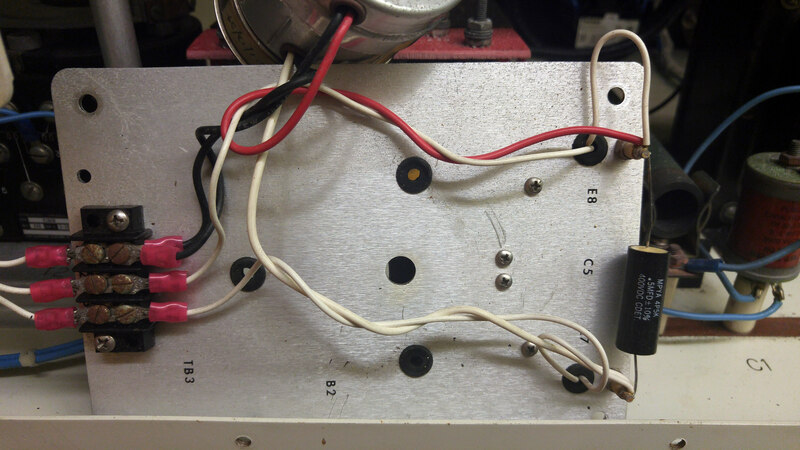 a rheostat voltage divider may be used. 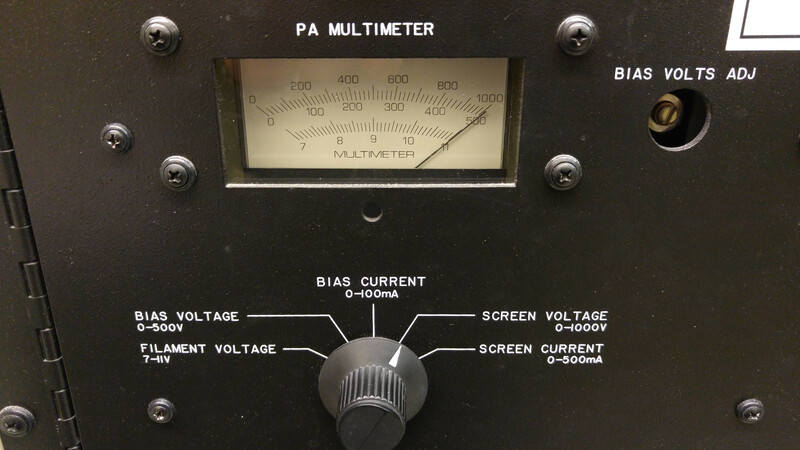 In the above picture, the screen voltage is all the way up for maximum gain. This occurred as the result of the tube wearing out and its cathode emission going soft, so the automatic power control kept trying to run the gain up higher and higher to maintain the desired power output until the poor little motor tanked. Shown here, a Harris HT 25 FM. This is very very similar to the FM 25 K series and was made like this for years, because once Harris had a design that worked very well, there was no reason to make big changes. I bet they made thousands of these transmitters and many of them are still happily thrumming along to this day. The mechanism is simple but prone to issues, especially if the automatic power control is used. Here’s the problem: Every change in line voltage, even a change in output impedance caused by rain or ice hitting the antenna, may cause the power to fluctuate. 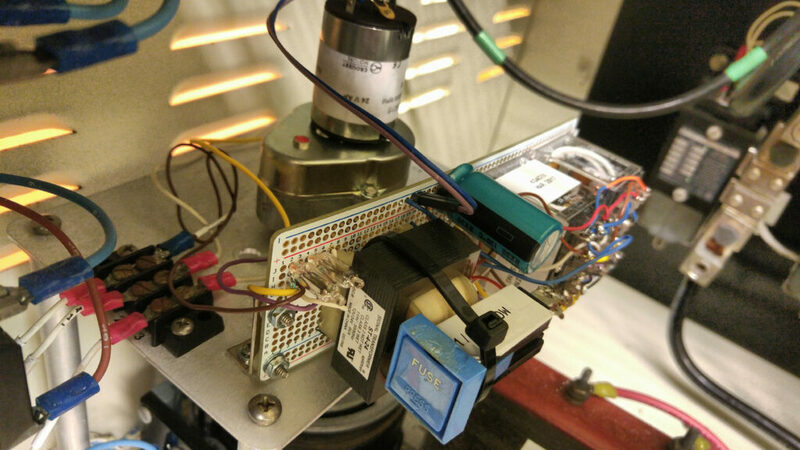 The controls compensate by moving the mechanism, and eventually something gives. 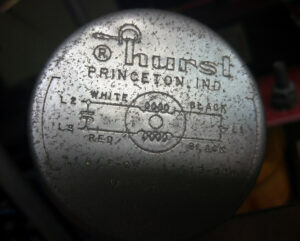 The original mechanism used this unusual bidirectional synchronous motor geared down to 0.5 RPM, running on 120 volts AC. 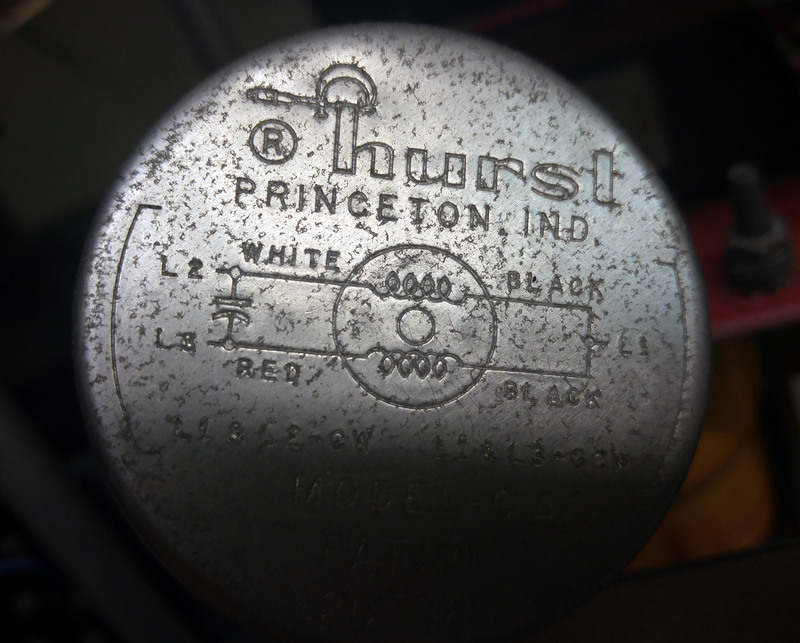 This motor is discontinued by Hurst, though they’re still around and still have a somewhat similar product. However, it has to be custom manufactured with a lead time of 14 weeks, and nobody just has stock of ’em. And now comes the fun part. 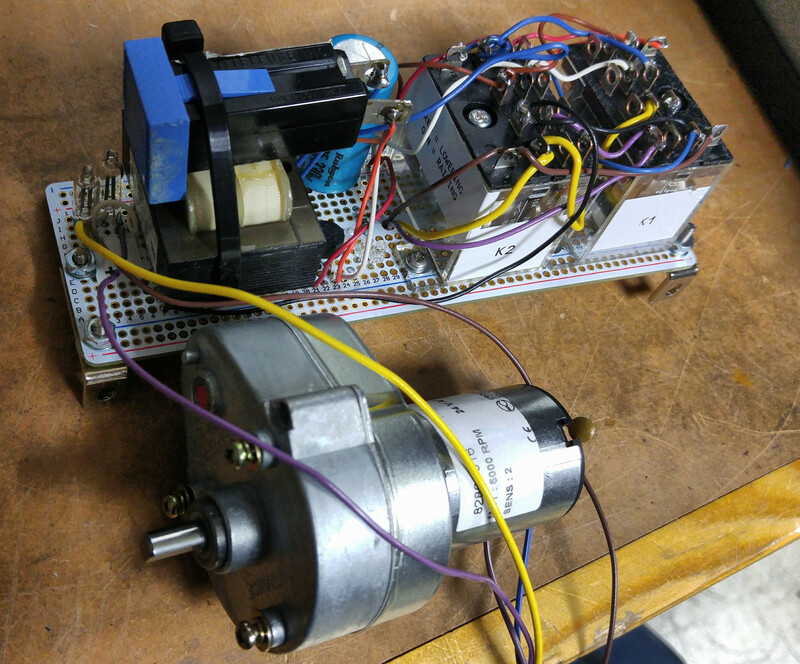 The DC motor’s shaft is fatter and shorter, but it’ll work! 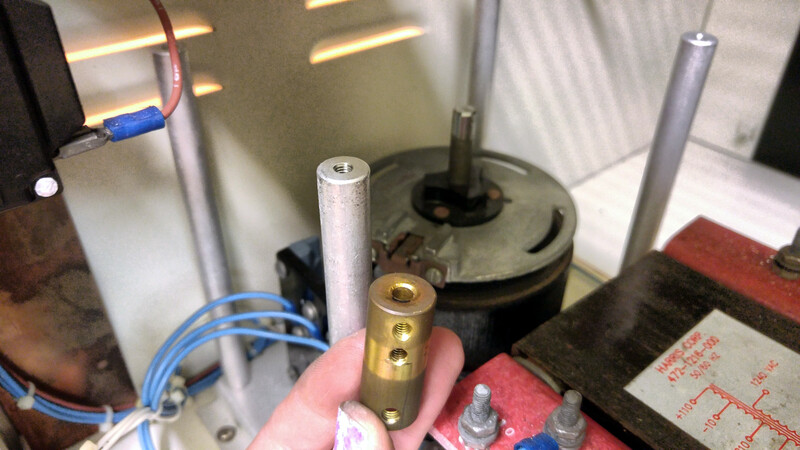 Here’s the original shaft coupling it goes into and the Variac. Off to the right is the transformer that steps 240VAC up to 1000VAC. Or maybe it’s 707VAC if it just uses the peaks. I dunno, man. It Just Works. There’s also a silvery looking band wrapped around it with one of the two end stop screws. More on that later. I removed all the grubscrews for safe keeping. The bronze coupling drills like a hot knife going through butter, albeit with a disturbing squeaky sound. This is how the stop screws are installed from the factory. 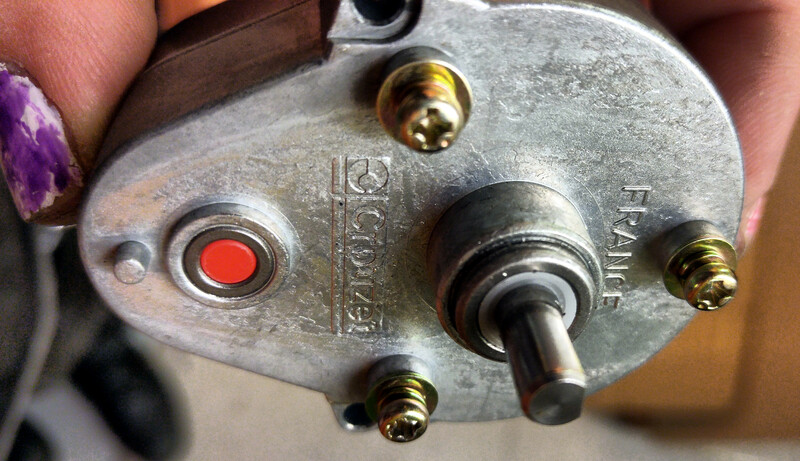 They hit the micro switches under the mounting plate to limit the motor’s travel. Now, you’ll notice the new motor’s shaft is shorter. 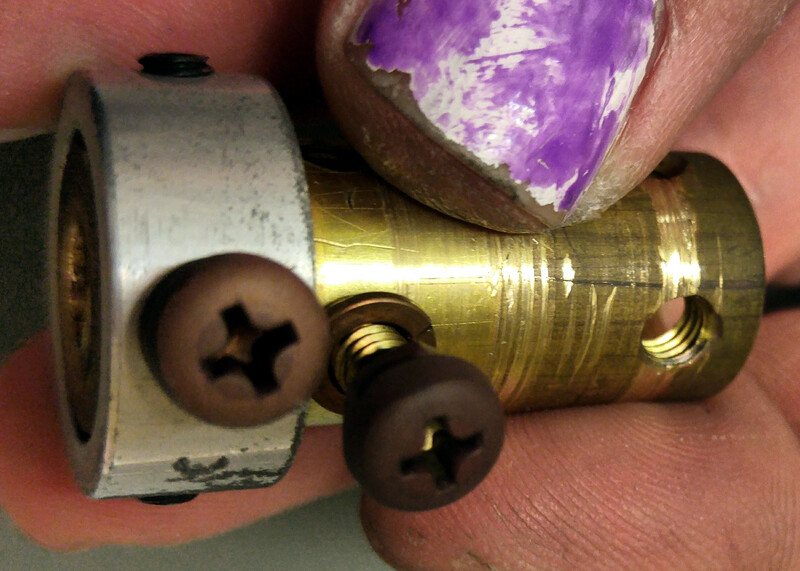 Under the silver band there’s another pair of set screws that clamped the old motor’s shaft. 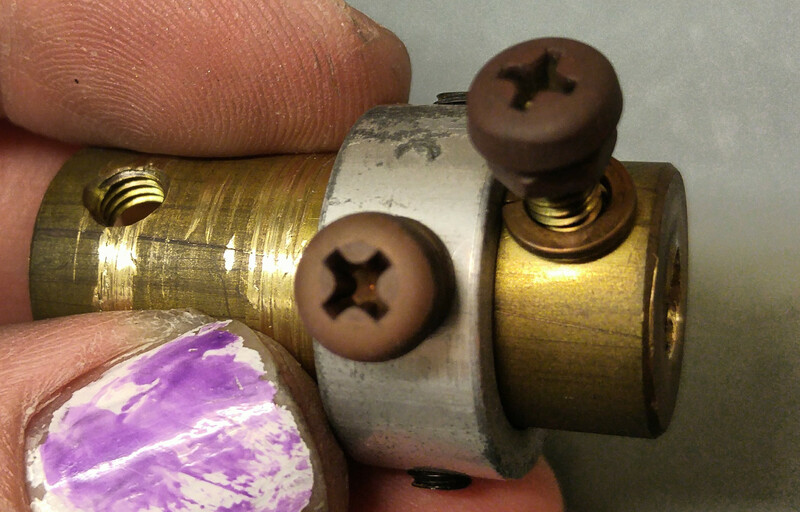 However, the hole the stop screw is in is tapped exactly the same as that set screw hole. The silver band will just cover up the set screw down the upper hole once it’s all assembled. Trust me— it works fine. Here’s the mounting plate. 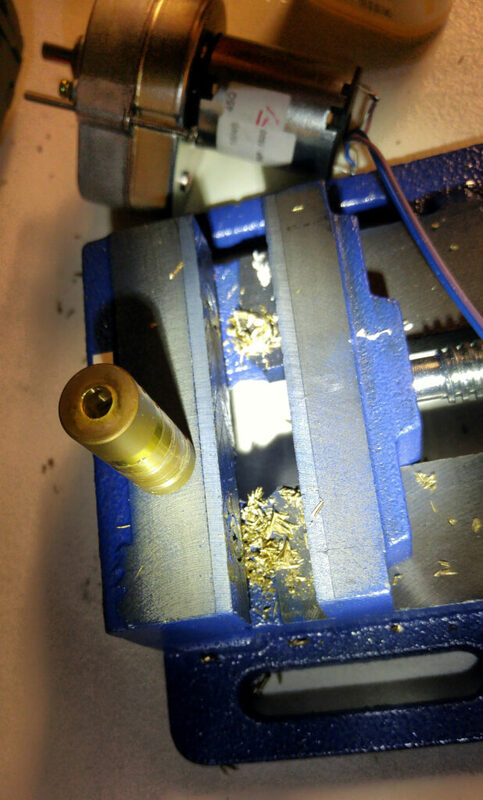 I expanded the hole where the original shaft went down to 1/2 inch, and wound up just drilling two new mounting holes and using the side mounting holes in the gearbox. 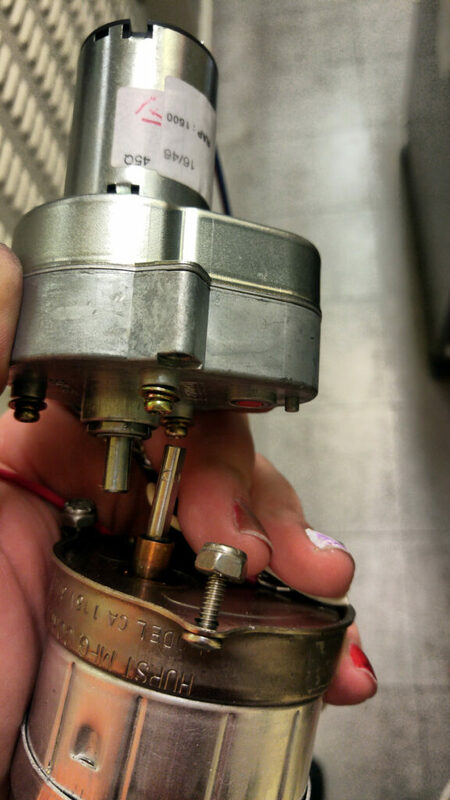 This motor also provided three tapped screw holes in the bottom, but I didn’t wind up using them. If I had this to do over I’d probably do it though. They’re Metric and I couldn’t tell you off the top of my head what the screw sizes are. M2? M3? And it’s up and running. And now I need to redo my nails. So I’m trying to get SSL certificates working for kg4cyx.net and am currently having little luck. I’ll revisit that later. For now you can get here by https but get a huge certificate mismatch error all up in yo’ grill and I don’t even know– probably has something to do with the fact certbot can’t figure out my vhosts. According to all known laws of aviation, there is no way a bee should be able to fly. Its wings are too small to get its fat little body off the ground. The bee, of course, flies anyway because bees don’t care what humans think is impossible.